Brooklyn black metallers returned this past Friday with the surprise two-song EP A Violent Dread, just in time for their hometown gig tonight. The show is with their pals Pyrrhon. Tuareg guitar great Bombino returned in 2018 with Deran, his first album made in Africa in nearly a decade (following albums made in New York with Dirty Projectors’ Dave Longstreth and Nashville with The Black Keys’ Dan Auerbach). His tour behind Deran hits NYC tonight. 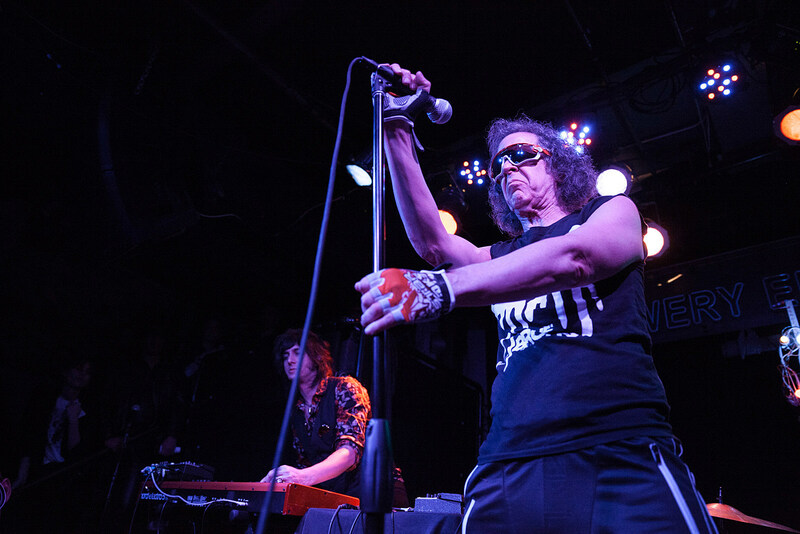 As one half of Suicide, Martin Rev has influenced punk and electronic music immeasurably. His live shows remaining menacing. Montreal duo Jerusalem In My Heart, whose style blends experimental Arabic rock with film, play this show with SUUNS’ Ben Shemie. London four-piece Black Midi make challenging, hard-to-categorize music that pulls from post-punk, ’90s IDM, improvisational folk and more. They’ve signed to Rough Trade who just released the Dan Carey-produced “Speedway” single and make their NYC live debut tonight. Lucy Dacus had a great 2018, releasing not only her excellent solo album Historian but also releasing an excellent EP as 1/3 of boygenius. She’s back out on the road as we speak, hitting Jersey City tonight. Gogol Bordello turn 20 years old this year, and they’re celebrating the anniversary by taking their hard-partying, super fun live show on the road. There’s no NYC show but they’re playing Long Island tonight. A true iconoclast, Todd Rundgren has just released his memoir The Individualist: Digressions, Dreams, and Dissertations and will be signing copies tonight. 6 PM. NPR’s quiz show/podcast Ask Me Another welcomes Leslye Headland, co-creator and director of Netflix series Russian Doll, and one of the show’s co-stars, Greta Lee (who you may also know from High Maintenance). The title is pretty explanatory, as Chris works on his new show with a TBA “friend” opening. Both the early and late shows are sold out.